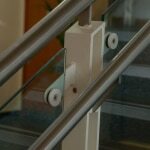 Our steel balustrades are suitable for all types of business and commercial applications. 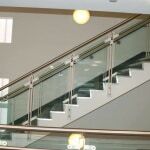 Having spent more than 50 years designing, manufacturing and installing balustrades,we ….. 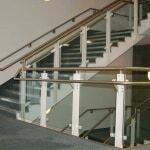 The Steel Arts range of stairs and staircases includes everything, from internal and external staircases through to fire escape stairs, spiral staircases, balustrades and handrails. 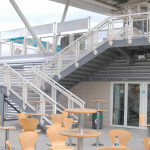 Experts when it comes to designing, manufacturing and installing canopies, Steel Arts provide a complete one-stop-shop for all design and build related products. Able to provide …..
Our structural glass service enables us to harness the power of glass, bringing light and strength into your project environment. 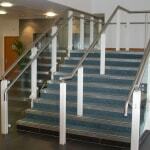 Taking care of everything, including design, manufacture ….. 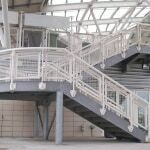 When it comes to working on bespoke projects, the team at Steel Arts excel at producing all types of miscellaneous products such as sculptures , benches, doors and windows, gates …..